Typically, when elected officials are accused of high crimes, convicted and sentenced, their colleagues, friends and former staff vanish. But the road that brought a powerful political career to a devastating halt has been slightly different for former U.S. Rep. Chaka Fattah (D-Pa.). Some are still questioning the prosecution of the former congressman, who was sentenced in federal court Monday to 10 years in prison for corruption. After the U.S. Supreme Court handed former Virginia Gov. Bob McDonnell a rare “get out of jail free” card by overturning his corruption convictions June 27 in what many believed was a case of overprosecution, some argue that the government did not prove Fattah's guilt with direct quid pro quo evidence. A group of former Fattah staffers have even gone so far as detailing their arguments on the site thefattahcase.com, using evidence from the case, details from transcripts and other court documents. Back in July 2015, the former Philadelphia congressman was indicted for public corruption in a case that featured the government turning to the RICO Act, which is typically reserved for organized crime figures. On June 21, 2016, Fattah was convicted, three months after he lost a congressional primary for a seat he'd held since 1995. The prosecution alleged that Fattah led a conspiracy with several others to pay back an illegal $1 million loan for a failed run for mayor of Philadelphia by using federal grant money. The government's investigation began in 2007. In federal court Monday, the man who represented Philadelphia in Washington, D.C., for over 20 years was joined by members of Congress, associates and a host of character witnesses who appeared on his behalf in front of Judge Harvey Bartle in the U.S. District Court for the Eastern District of Pennsylvania, who delivered a scolding before the sentencing, one of the longest ever given to a member of Congress, according to the Washington Post. But the case has included many intriguing details, with information provided by Fattah's former staffers through reports from the black press, and by others, standing in contrast with the predictable conventional wisdom around a fallen political figure. According to Cipriano, the dismissed juror, who is a white businessman and veteran from Lancaster, Pa., had reportedly voted to acquit Fattah eight times before being dismissed from the case. To add to the intrigue, Judge Bartle placed all documents related to the juror's dismissal under seal and placed a gag order on all the lawyers connected to the case. WWDB radio host Malik Boyd interviewed the former congressman Dec. 7 about a new consulting company he recently launched and the “impact of his legacy” on the city of Philadelphia. “The opportunity I've had to serve our community—in the Statehouse and in Congress—I'm just very grateful and supportive for all the support the entire team has gotten for all the work that has been done … we've never been more grateful,” Fattah told Boyd, without referring directly to the details of his legal situation. “I'm sure the legacy will transcend through what we saw today; people will remember the legacy of the work Fattah has done over the years,” Philadelphia businessman A. Bruce Crawley told WURD radio correspondent Vince Thompson shortly after Bartle handed down the 10-year sentence. 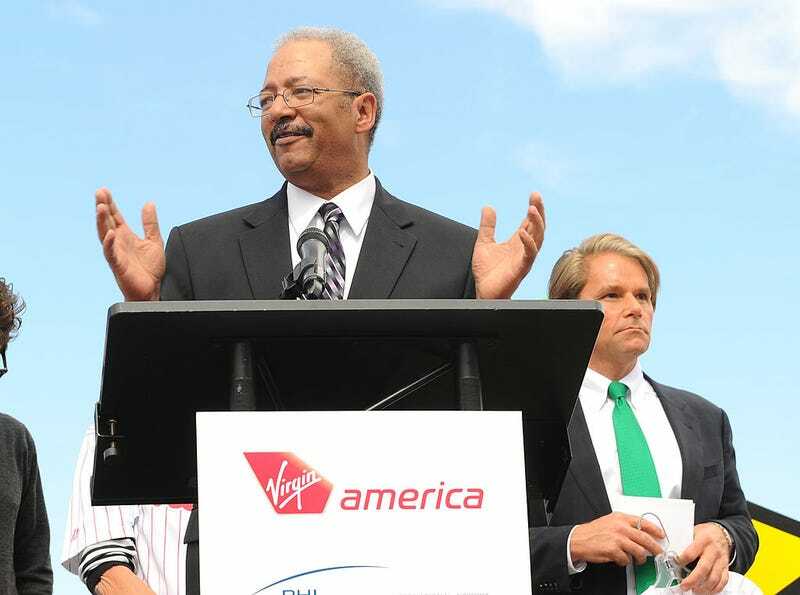 Fattah was once one of the most powerful members of Congress; he had a say over billions of dollars in federal spending as a member of the House Appropriations Committee. Whether there will be a change in his fate via an appeal will soon be known, but the details on timing are unknown. Fattah is due to start his prison sentence on Jan. 25, 2017.